UMUC has been offering top-quality educational opportunities to adult students in Maryland, the nation, and the world for 70+ years. UMUC was founded in 1947 as the College of Special and Continuation Studies, a branch of the University of Maryland's College of Education, with locations in College Park and around the state. Beginning in 1949, UMUC was the first university to send faculty overseas to educate active-duty military personnel in Europe. In the early 1950s, UMUC was also asked to provide the Department of Defense with guaranteed education in Asia and to operate the evening and weekend classes for the University of Maryland. In 1964, UMUC opened the five-story Center of Adult Education as its headquarters, providing office space, conference rooms, a formal dining room, and 116 guest rooms. In 1970, UMUC transitioned into an independent institution, and in 1978, the university established what is now the Graduate School of Management and Technology, offering master's degree programs tailored to the needs of mid- and upper-level managers in the workforce. In the mid-1990s, the university offered its first online courses and quickly grew into one of the largest public providers of online education in the nation, offering more than 680 distinct courses online and recording more than 175,000 individual online course enrollments in 2007. UMUC now serves more than 80,000 students worldwide and boasts 20+ locations in Maryland, D.C., and Virginia and an on-site presence in 140+ worldwide locations—including military bases in more than 20 countries and territories. With headquarters in Adelphi, Maryland, and administrative offices in Asia and Europe, UMUC offers 90+ degrees, specializations, and certificates taught by faculty members who bring real-world experience to online and on-site classrooms. With 70 years of experience serving working adults, service members, and their families, UMUC knows what your unique academic journey entails: hard work, perseverance, and determination. Student success is what we are made for. That focus is why we are committed to having your back every step along the path toward achieving your educational goals. Step up to the challenge at UMUC.edu. University of Maryland University College. Two "universities" and a "college" … what's up with that? Well, it may be a mouthful, but our name has special meaning, and there's history behind it. The "University of Maryland" part signifies that we are part of the University System of Maryland. "University College" is a British term that captures what we do: Take courses and programs from all academic departments and offer them outside of the university's walls and normal class times. Today, although our name may not make sense when you first hear it, we are proud of the mission it signifies and what we have been doing for more than 70 years. The College of Special and Continuation Studies, or CSCS, is established within the University of Maryland's College of Education. CSCS is separated from the College of Education, becoming a new college within the University of Maryland. Within its first decade, CSCS is so successful that it becomes a separate degree-granting college of the University of Maryland. The institution's name is changed from CSCS to University College, but it remains an entity within the University of Maryland. University College is incorporated as University of Maryland University College—UMUC—independent of University of Maryland, College Park, and becomes one of the original five institutions that make up the new University of Maryland network. A merger of the five members of the University of Maryland network, including UMUC, and the six members of the State University and College System of Maryland creates the University of Maryland System, with 11 degree-granting institutions. The University of Maryland System name is changed to University System of Maryland, or USM. UMUC remains a member of USM, which now includes 12 degree-granting institutions and two regional centers. UMUC's Core Values reflect our central and enduring tenets—a set of principles to guide institutional and individual professional behaviors. 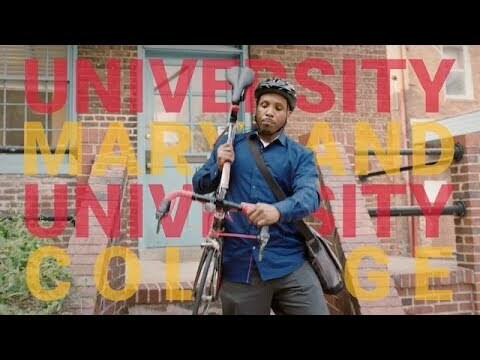 At UMUC, the way we do things is as important as the things we do. These are the people who make our work possible. We are each responsible for our overall success. Each individual brings value to our efforts and results. Our principles and standards are never compromised. Outstanding quality is the hallmark of our work. We advance so others can benefit from our leadership. The rights and feelings of others are always considered. Discover the stories of UMUC's first overseas faculty. Learn why regional accreditation is so important.